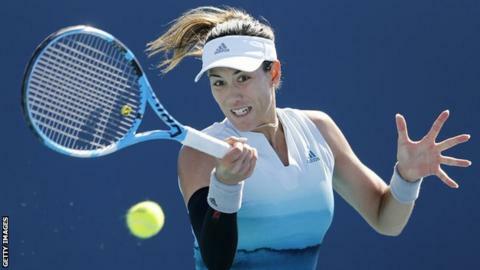 Garbine Muguruza defended her Monterrey Open title after Victoria Azarenka was forced to retire with a leg injury. Former world number one Azarenka, playing her first singles final in three years, required a medical timeout after losing the first set to have strapping applied to her right calf. The Belarusian, 29, carried on but was clearly restricted before withdrawing when trailing 6-1 3-1. “I’m very happy with this week,” said Spain’s Muguruza, 25. It is two-time Grand Slam champion Muguruza’s first title since winning in Mexico last year. Azarenka last contested a singles final in April 2016, winning both Indian Wells and Miami within two weeks before announcing her pregnancy later that year and giving birth to son Leo in December. She returned to the sport competitively the following summer but has been involved in a custody battle with her son’s father which has impacted on her tennis. “It’s unfortunate I couldn’t give my best today, but I tried my hardest,” a tearful Azarenka said. 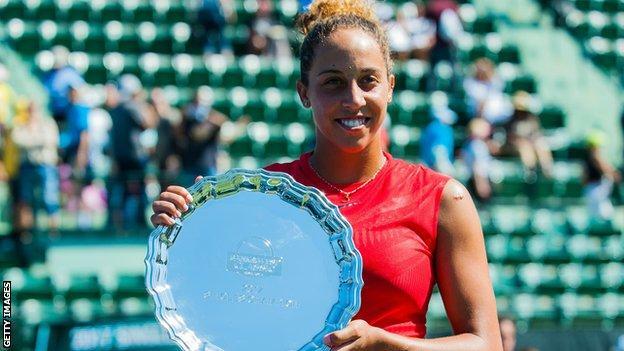 Earlier, Madison Keys beat Caroline Wozniacki in straight sets to win the Charleston Open – her first title on clay. The American, 24, won 7-6 (7-5) 6-3, hitting 54 winners against Danish fifth seed Wozniacki, the 2011 champion. It marks a fourth career title for Keys and her first since 2017. The eighth seed beat three Grand Slam champions – Wozniacki, Sloane Stephens and Jelena Ostapenko – en route to victory, as well as reigning Olympic champion Monica Puig. Wozniacki – playing in her third Charleston final, having finished as runner-up in 2009 – said Keys was “just too good”. World number 18 Keys is the first American winner of the tournament since Stephens three years ago.